Leitrim Landscapes Guided Walks offer walks, talks and workshops on archaeology, flora, fauna, foraging and local history and folklore in Leitrim and the surrounding area. Leitrim Landscapes Guided Walks as part of Big Days Out in Leitrim have been selected in the Irish Times top 5 things to do in Ireland. We love our old stones at Leitrim Landscapes Guided Walks and want to share that with you. 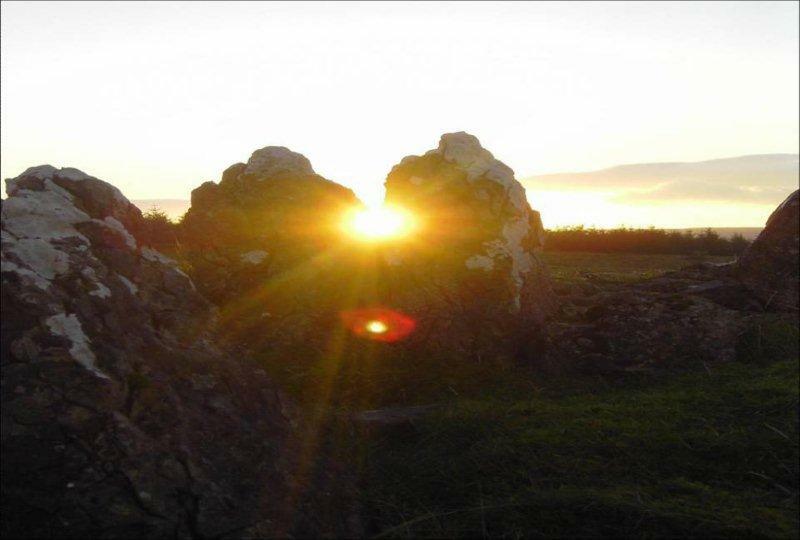 Come to Tullysheherney, Manorhamilton, a magical place to experience the Summer Solstice. Watch the sun go down from this amazing archaeology site. See the typical U shaped glacial valley of Glenade slip from sunlight to moonlight. Feel the presence of our ancestors at the burial sites and enclosures and hopefully hear a skylark at dusk. Meet at Manorhamilton Castle at 9pm, booking essential.